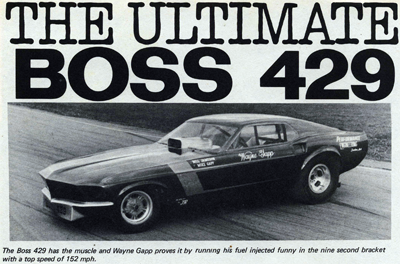 I can’t let April 29th (4/29) pass without a post about the Boss 429 Mustang now can I? Shot of the front of the Mustang flopper. GREAT view of the work on the front end of the car plus the 427 SOHC ‘Cammer’. 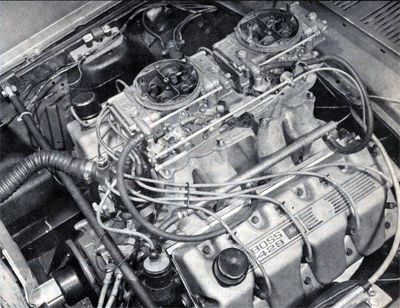 The intake seen here on the 427 was later used on the ’69 Boss 429 Mustang…with a bit of work. Here’s another shot from the folks over at Detroit Horsepower. 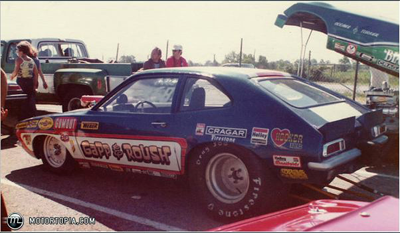 The mention is that this is the old G & R Pinto. 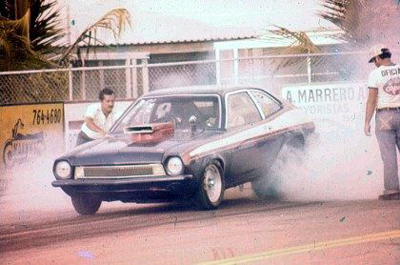 I know that the first Pinto became Glidden’s warhorse. I don’t know what happened to the ’73 Pinto. I know that a trip was made to Brazil and I THINK I remember that a car was sold in Puerto Rico. So, this could be the old ’73. 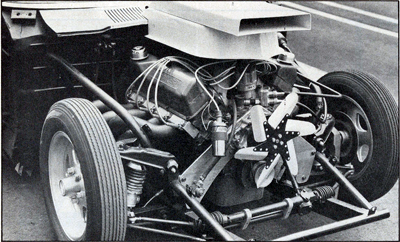 Nice clean shot of the front end of the Maverick showing the engine and the ‘famous’ exhaust plates. 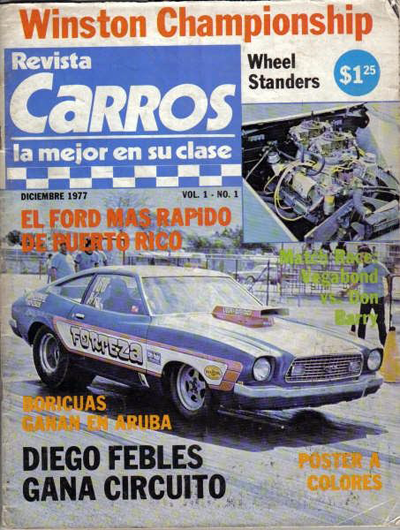 The Gapp & Roush Mustang II in Puerto Rico? I haven’t made much of an effort to try and track down the old G&R vehicles. I run across mentions of them every now and then. Here’s another. 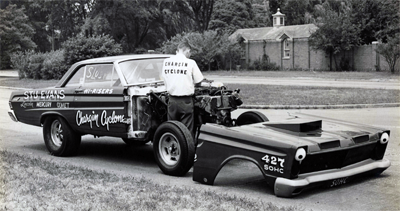 I ran across the picture below on a web site called ‘Detroit Horsepower’. Link here. This vehicle sure looks like the Gapp & Roush Mustang II. Down to the paint job. Kind of cool. From what the person who posted the pic says the vehicle is “The mustang that found itself in pile of metal in the Carribean.” That’s interesting as I have seen reference to this vehicle being ‘restored’ as well. Note the Gapp & Roush blue decal in front of the ‘Forteza’. Check it out. 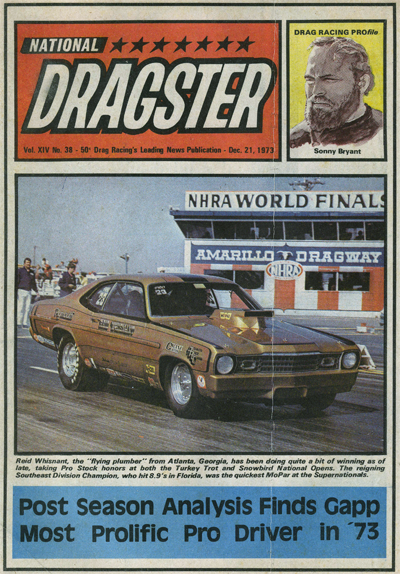 An analysis of the year finds Wayne Gapp as the most prolific driver of the year. 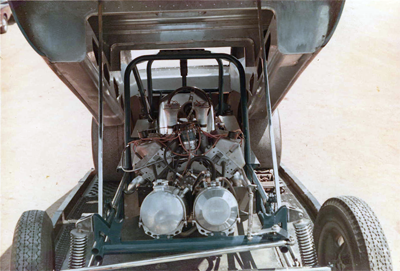 Nice look at the engine compartment of the first Boss 429 Maverick. Bit of work to shoehorn that thing in there. Not my words…though I agree. 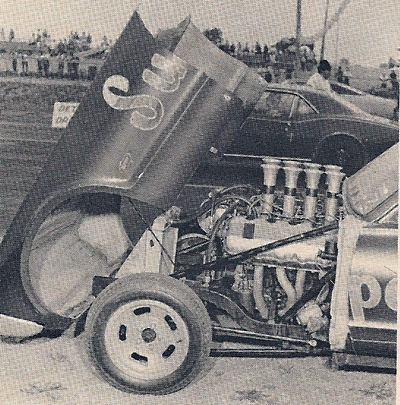 Another angle of the 2nd to last Pinto. I have to say that this Pinto isn’t a bad looking car. Something about it looks pretty good.